Tanja and Aleš are not only collectors of crazy washmashines but also super skilled in different entries into laying and standing Hand2Hand and Foot2Hand variations. They are part of the partneracrobatics.com teacher teachers crew. Sergej is a professional monkey, acroholic, handstand addict and he is obsessed with movement. He is also a partneracrobatics.com teacher and had the pleasure to study under some of the best acro and movement teacher in the world. This intensive week is oriented towards intermediate/advanced level practitioners. But since we will foster a deeper understanding of basic tecniques on all different skills from L-base to standing also beginner/intermediate acrobats are welcome. We will also go over whips, pops and icarian. 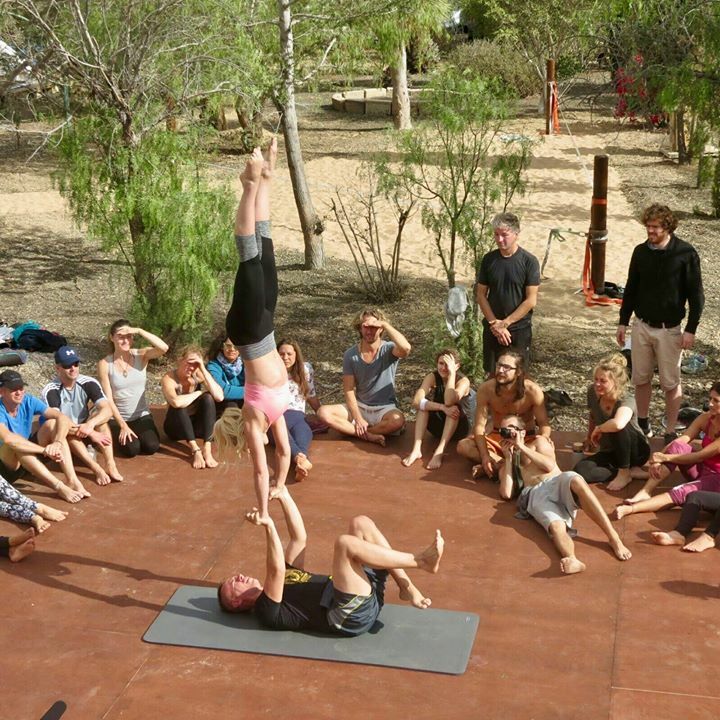 No matter where you are at here, this amazing intensive format lets us adapt to your level and boost your acro skills. Be prepared for some personalized hands on attention and not the usuall fixed class content just being thrown at you. Our focus on tecnique this week makes acro accesible to ladybases and same size partners. We will have 6 hours of Acro, Handstands and Prehab for you guys and also 3 sweet therapy lesson in the evening. Tenerife and especially the Spirit Lodge is a beautiful place to be – so you might want to consider staying longer or coming earlier. Just be sure to book it soon, because places are very limited.